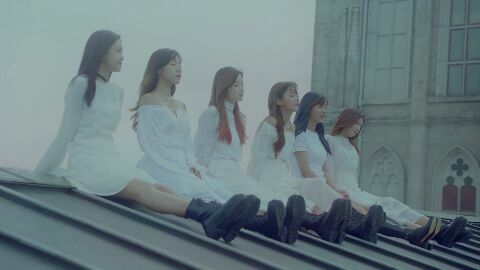 The rest of Hyoeun. I'll wait till Jeonyul's during the weekend when it should be all done. Oh yessss finally making films with gayoung! Wanted to post this yesterday but couldn't connect. I'm surprised we're getting more Gayoung again. So I guess at least one more round for all girls? I'm certainly not complaining! 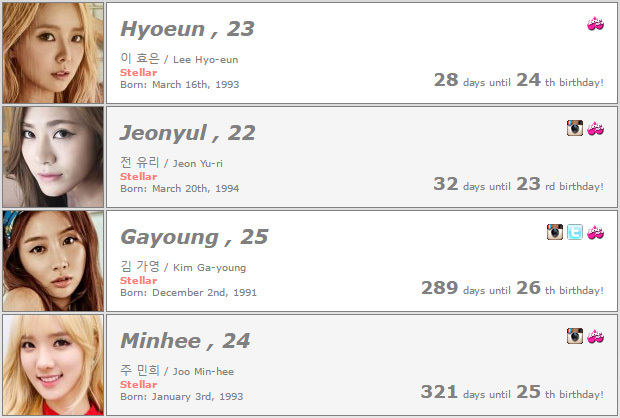 Stellar now in the birthday countdown. PM me groups you want to see added, or sign up to do it yourself. Stellar has a new song out. I really like the instrumentals but the chorus was a bit of a let down. The concept is pretty cool and stellar is hot as always. Page created in 0.497 seconds with 14 queries.